Founded in 2013 by LeeAnn Neal, Kelly Benson and Will Seymour, the Pioneer is a free-to-read, online news source focused on Tillamook County, from Cape Falcon to Cascade Head. The Pioneer provides a connection for our communities, bringing the power of technology and digital media to the people and stories we see in the county every day, available to everyone. In some ways, Tillamook County exists at a slower pace than many other parts of the world, but in other ways ours is a community of innovative thinkers with strong backbones who want to know what they need to know quickly and efficiently. With that in mind, we believe our friends and neighbors deserve easy access to local news. The Pioneer has evolved to become truly the community’s newspaper. In 2013, Rocky Intertidal partners LeeAnn Neal and Kelly Benson along with partner Will Seymour launched the fledgling free online news site “Tillamook County Pioneer”. Online news was just becoming a “big deal” and they recognized the need to provide local news to Tillamook County that was free and accessible. The Pioneer grew to become the most relied upon news source in the County because of LeeAnn’s tireless devotion. With Will’s death from cancer in 2015, and then LeeAnn’s health deteriorating and subsequent death, the Pioneer was left without a captain. #1. Is it the TRUTH? #2. Is it FAIR to all concerned? #3. Will it build GOODWILL and better FRIENDSHIPS? #4. Will it be BENEFICIAL to all concerned? 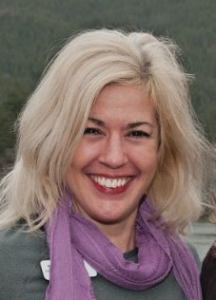 Also joining the Tillamook County Pioneer as a partner is Julie Chick. An outdoors enthusiast, and the developer of the award-winning Tillamook County “water trail” maps, Chick will help update the Pioneer’s graphics and website. She will provide insightful guidance on outdoor, environmental issues, her work with local nonprofits, families with special needs, and more. Kelly Benson grew up in Nehalem, where her mom owned an art gallery for many years, and graduated from Neah-Kah-Nie High School before earning her degree in journalism/advertising at the University of Oregon and her MBA from Johns Hopkins University. She has worked as an advertising and marketing professional on the East and West coasts for companies ranging from startups to national corporations. Her professional background also includes eight years in banking, both as a loan officer and branch manager. She co-owns Rocky Intertidal CoCreative with Neal. Her three children all attended Nehalem Elementary and Neah-Kah-Nie High School. Kelly’s passion is fitness and training and she currently teaches classes and provides personal training at the Tillamook YMCA. LeeAnn Neal is a sixth-generation Tillamook County resident whose great-great-great grandfather Elbridge Trask and great-great grandfather Warren Vaughn were among the pioneers who settled in the county in the 1850s and helped to build the Morning Star. They were also characters in Don Berry’s historical fiction series. She has been a journalist on the north Oregon coast since she graduated from Tillamook High School in 1988, having been an award-winning reporter and managing editor at several regional publications, including the Headlight Herald and Coast River Business Journal, and a freelance journalist for a variety of national publications. 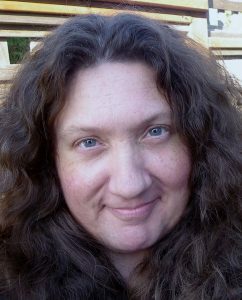 She founded and maintained the popular North Coast blog for OregonLive.com, the Oregonian’s online affiliate, for a year-and-a-half. She earned her undergraduate education at the University of Oregon, Portland State University and Linfield College. After a short illness, LeeAnn passed away in December, 2016. She will always be acknowledged and remembered on the Pioneer page. Will Seymour’s family goes way back in Tillamook County as well. His great-great grandfather Samuel (Hardy) Rock settled in Oretown in 1876, serving as a mail carrier between Oretown and Grand Ronde for a time. He experienced a particularly memorable trip in 1 foot of snow between the two communities one winter. Rock’s wife was a school teacher and postmistress (that’s what they called them back then) who wrote, “Short History of the Little Nestucca River Valley and Its Early Pioneers” in 1949. Seymour, who grew up in south Tillamook County and graduated from Nestucca High School, earned his degree in electronic media from the University of Oregon before going on to earn a graduate degree in specialized journalism from the University of Southern California. He has worked as assistant sports and news director at KWVA in Eugene, as well as sports editor at the Tillamook Headlight Herald. His freelance work includes profiles on two members of Special Olympics Team USA written prior to the 2013 World Winter Games in South Korea. After a battle with cancer, Will passed away in 2015. As LeeAnn, Kelly and Will said in 2013, “The Pioneer still has a lot to figure out.” We don’t have all the answers, and we certainly can’t do this without the support and input of the community. The Pioneer is here to serve you. So please, if you have any thoughts or would like to contribute to the Pioneer in some way, story ideas, photos, blogging, sharing social media, starting a discussion, or anything else – please get in touch. Thank you! We look forward to blazing this trail together.